http://www.JewishWorldReview.com | In the American experience, anti-Semitic decrees have been virtually unthinkable. Religious liberty is enshrined in the Constitution, and early in his presidency George Washington went out of his way to assure the young nation's Jews that "the Government of the United States � gives to bigotry no sanction, to persecution no assistance." During the long centuries of Jewish exile, powerful officials had often promulgated sweeping edicts depriving Jews of their rights or driving them from their homes. In America, that could never happen. In December 1862, with the Civil War raging, the Union Army's efforts to control the movement of Southern cotton was bedeviled by illegal speculation and black marketeers. 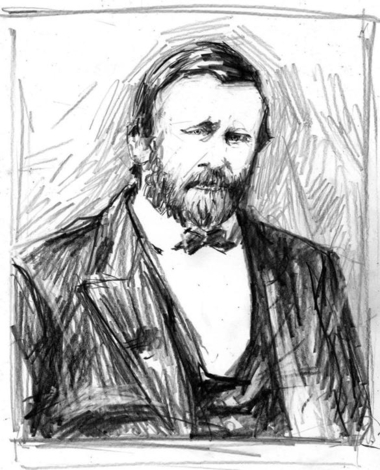 Like many of his contemporaries, Major General Ulysses S. Grant � then commanding a vast geographic swath called the Department of the Tennessee � shared a crude stereotype of all Jews as avaricious, corner-cutting swindlers. That ugly prejudice boiled over in General Orders No. 11, the most infamous anti-Semitic injunction in American history: "The Jews, as a class violating every regulation of trade established by the Treasury Department and also department orders, are hereby expelled from this department within 24 hours from the receipt of this order." Not surprisingly, Grant's order got a good deal of attention in the 1868 presidential campaign � the first time a "Jewish issue" played a role in presidential politics. Grant didn't deny that General Orders No. 11 had grossly violated core American values. "I do not sustain that order," he wrote humbly. "It would never have been issued if it had not been telegraphed the moment it was penned, and without reflection." But it was as president that the full extent of Grant's regret became clear. He opposed a movement to make the United States an explicitly Christian state through a constitutional amendment designating Jesus as "Ruler among the nations." He named more Jews to government office than any of his predecessors � including to positions, such as governor of the Washington Territory, previously considered too lofty for a Jewish nominee.